Did you know that they make chocolate in Iceland? It was news to me. Call it stereotyping, but I thought Iceland was best known abroad for Björk and hákarl -- neither of which I have any desire to bond with. 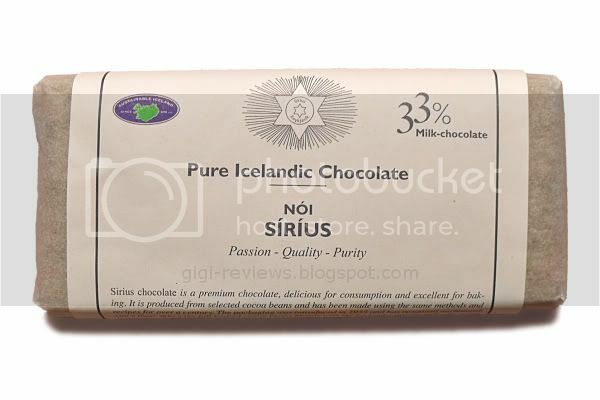 Be that as it may, they clearly do make chocolate in Iceland -- and according to the packaging, what makes Nói Síríus chocolate so special is the milk used to make it. That makes sense, because they grow their own protein supplies locally (at least so far as I can tell from my extensive research based on Wikipedia and episodes of No Reservations and Bizarre Foods). Icelandic livestock animals are raised the old-fashioned way -- i.e., natural grazing, no injected drugs or hormones, and so forth -- so it stands to reason that they'd have some exceptionally good milk. The packaging is stark; just a simple parchment paper wrapped around the chocolate, with an equally simple white outer wrapper with the bar's information (and an ice cream recipe). The portion is interesting. 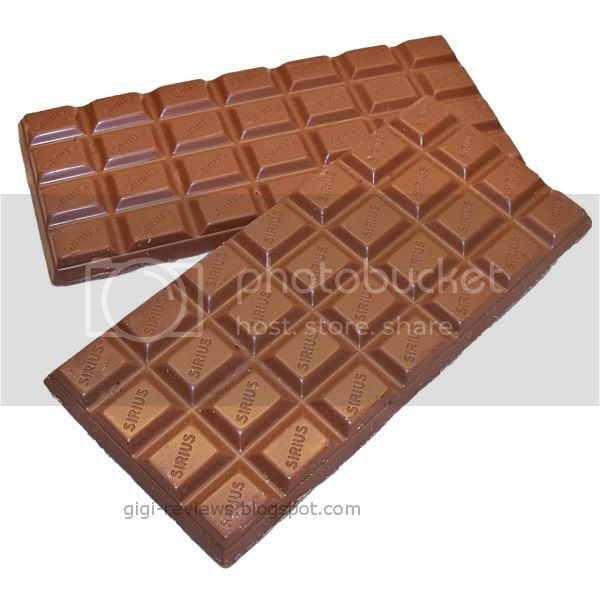 Instead of one single super thick bar, the package contains two bars, each about the size of a slightly larger Hershey's bar. The smell of the bar is almost like salty butter. Each little molded block is perfectly sized to melt on the tongue...and once on the tongue, it starts to melt almost instantly. The texture is extremely creamy. 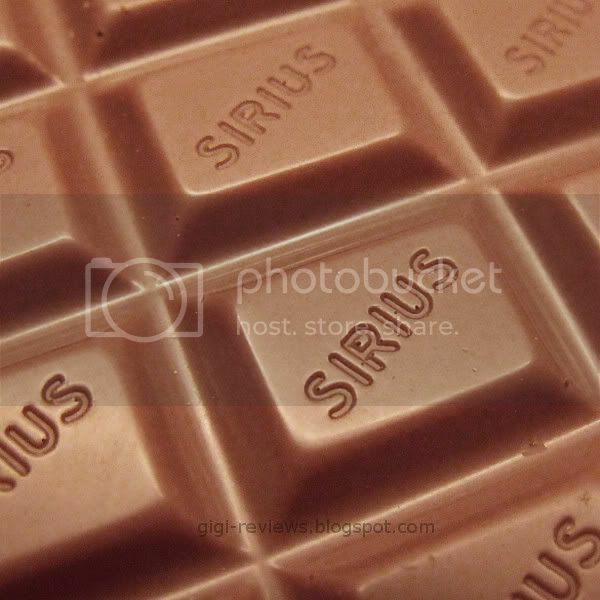 In fact, I have had some really high quality (and really expensive) Swiss chocolates that weren't as smooth as this. As for the taste? Well, the chocolate is -- as expected -- very milky (it's a 33% cocoa bar). It is all about the milk here. It does indeed seem tangy; more like it was made with goat's or sheep's milk than cow's milk. (There is no information on what type of milk is used. I suppose, in Iceland, that either sheep's or cow's milk is equally likely.) There is also a strong vanilla flavor. 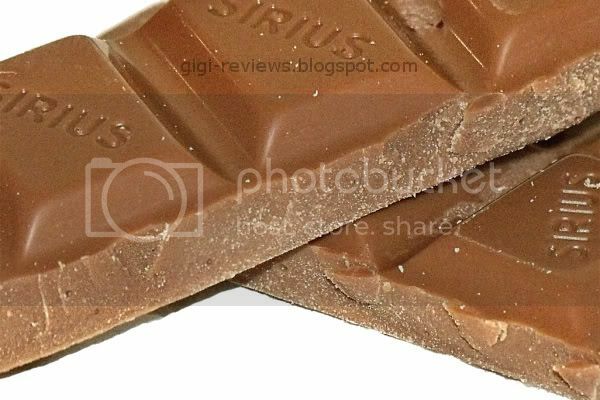 There is a little post-melt sugar burn in the throat, but it is not as strong as it is on some domestic chocolates. I really liked this bar a lot. It was very tasty, the texture was fantastic, and it did not in fact feature bits of embedded hákarl. For which I am eternally grateful. 228 calories per 1.4 oz. noi.is. Main site is in Icelandic. Click on the British flag icon for English. Hot-dang! I've got to have this! Your description is mouth watering. But no Whole Foods 'round here. aaargh! This Might help there is a website called Nordicstore.net that does sell some of the product line. I have never purchased anything from them but they were about the only source I could find that had the brand.